Brasilia is something else entirely. 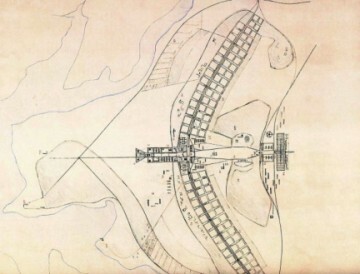 A designed, futuristic national capital of the nation spurred by President Juscelino Kubitschek. All the development in Brazil was happening along the Atlantic Coast, including the capital of Rio. JK moved the capital to the nation’s center, which made many citizens happy–except those in Rio who saw their city decline and face more poverty and violence following the move in 1960. Brasilia was designed by Lucia Costa and Oscar Niemeyer in 7 to 8 months, built in three years by 60,000 migrant workers laboring day and night. The nineteen ministerial buildings, the presidential and vice presidential palaces, the metropolitan cathedral, the plaza of the three powers, the national congress, national library, museum, theater, the museum of the indigenous people, etc. Sectors of the city designated for education and churches, hospitals, hotels arranged in superquadra, with commercial streets separating them. Yesterday we flew three hours southwest to arrive in Brasilia, the uber planned city that became the capital of Brazil in 1960. Before that the capital had been Rio. On the flight I tried to watch how quickly afternoon turned into night. There is no colloquialism here for “Good evening.” One goes directly from “Good afternoon” to “Good night.” “We don’t have a concept of evening,” said Maria Jose, “the sun sets so quickly.” It seemed from the plane to take about fifteen minutes. Ah, the sunset is coming. Ah, the night is here. Perhaps I fell asleep in the interim.